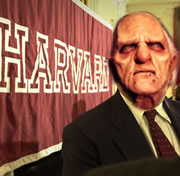 One of one undead Professors in the Harvard Physics Department, just a few key papers shy of tenure. Or at least that's what the department chair has said since 1985. 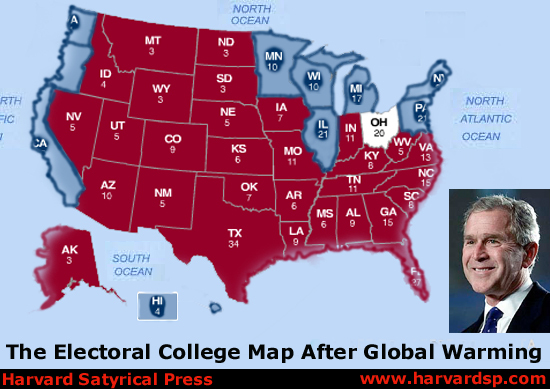 Cambridge, MA - A wave of criticism has been building at Harvard University over some comments uttered by university President Larry Summers as he tried to ascribe suspicious tenure rate discrepancies to innate biological differences. According to several sources, who did not request anonymity but are receiving it nonetheless because their names are hard to pronounce, Summers gave the following remarks at a recent socio-economic research conference. "We must consider the possibility that there are fewer undead professors at Harvard because of intrinsic biological differences. I mean, seriously, the living simply have more time to devote to academic research and consistently score higher on standardized math and science tests than the deceased. I could be completely wrong here, but studies of identical heads severed at birth seem to clearly bear this thesis out. Listen, I sincerely wish the problem was based on socialization alone, and of course, I fundamentally respect and admire the undead on the faculty here - especially in light of all the years of social injustice and oppression they've had to endure - but clearly zombies have other concerns on their minds, for example, their innate drive to consume the flesh of living, tenured science professors who are at least 4-5 standard deviations above the mean."